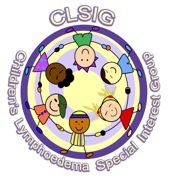 The Children’s Lymphoedema Special Interest Group, (CLSIG) are a volunteer group of Lymphoedema Specialists who work closely with the Lymphoedema Support Network (LSN) to promote lymphoedema services and support for children with this condition. The members are all health care professionals who are directly involved in treating children of this kind. As well as providing direct care and support, they also want to promote awareness of the condition, promote the provision of effective services and ensure that patients and families of children with the condition are provided with the help and information that they need. Until recently services have only been available for adults, however there are now some clinics around the country that specifically provide treatment for children. CLSIG want to provide a special day for children and families with lymphoedema so that they can meet each other and share activities that are fun and in which they will have a chance to win. Exercise and sport helps control this condition considerably but CLSIG need to promote this to children and their families, and build up their confidence, in an environment where they can get together with other children who are having the same issues. CLSIG aim to strengthen their coping and adaptation strategies. CLSIG wish to seek wider promotion for the day to raise awareness among the public about the condition and in this way help more people to find out they can get treatment. It is hoped that for the second National ‘Lymphaletics Day’ next year on 13th September 2014 that around 100 families from around the UK are to join in a fun day of sport and activities in Sheffield, in a supportive environment to promote confidence, quality of life, exercise and facilitate peer support on a national basis. 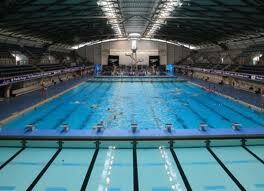 The Ponds Forge International Sports Centre in Sheffield is booked for 13th September 2014 and now CLSIG have the mammoth task of ensuring that they can finance it. They want to be able to provide this day free of charge to children and their families, and overnight accommodation for those travelling greater distances. CLSIG have the dedication, passion and enthusiasm to make sure this project is a great success for the children but with your support, involvement and financial assistance we can realise this dream! We aim to provide various ‘sporting’ activities that children of all abilities can take part in, and also provide rewards for all those taking part to bring a sense of achievement no matter what their limitations. We will also be doing an educational session – we want families to learn as much as they can from the professionals available (and from each other) and we hope to have a keynote speaker on the day. This educational session will hopefully be supported with an exhibition of lymphoedema products/equipment that we use to treat the condition. Children and their families will be able to see just what products are available, will give them more choice and opportunities to discuss the options open to them at this time. This whole day is about teamwork and achievement! We really want this to be a fun day for the children and their families, but also want to raise these children’s expectations of what they can achieve and build up their confidence in joining in sports and team activities. Lymphoedema management for children in the UK is greatly under resourced to date and by raising awareness of the condition will help to make sure that all children who have this condition access appropriate treatment. I hope that you will be able to help us in our goal in supporting children with lymphoedema, and that our request for support is considered.